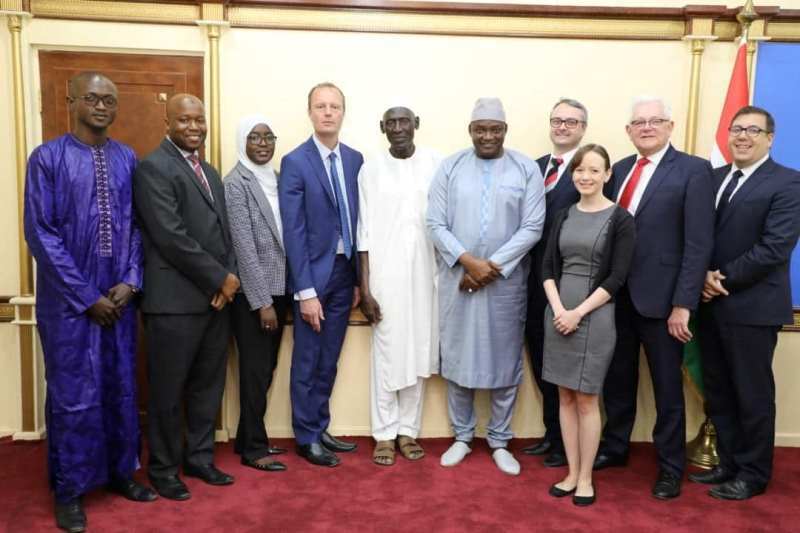 His Excellency, President Adama Barrow has on Thursday received in audience a group of five Members of the British Parliament at the State House in Banjul. The delegation, led by Lord German (OBE), a member of the UK House of Lords, was accompanied by the Chairperson of the Standing Orders Committee of the National Assembly of The Gambia, Hon. Sidia Jatta. The delegation held a closed-door discussion with President Barrow and updated him on the collaborative work that the legislative branches of the two countries have been engaged in to produce a Standard Operating Procedure for The Gambian parliament. The support is being rendered under the auspices the Commonwealth Parliamentary Association, which brokered the signing of a two-year Memorandum of Understanding between the National Assembly of The Gambia and the Parliaments of the United Kingdom and the British Isles. President Barrow welcomed the collaboration and reaffirmed his government’s commitment to institutional reforms and the strengthening of the values of democracy, separation of powers, and the rule of law. The President admitted that the Assembly couldn’t move forward without the required instruments. He added that parliaments need to be strong in order to strengthen and make vibrant a new democracy. Speaking to the State House press corps after the closed-door discussion, Lord German (OBE) said The Gambia was starting afresh, therefore, requires a strong National Assembly. He expressed delight that the Gambian Assembly is about to adopt a new set of rules to govern its conduct and affairs in a more efficient manner. “We have been working with the members to make sure those changes will give you[citizens]the real power to make the difference in this country,” said Lord German.